Why won’t the Chanina Sperlin Picture PAC endorse one of their own? It’s all about greed and lining up their own pockets, all this and more with full details to come, after the elections. WIS will map it all out in a clear and simple manner. Over $200,000 of our tax payers dollars given over to Chanina Sperlin, where is it? 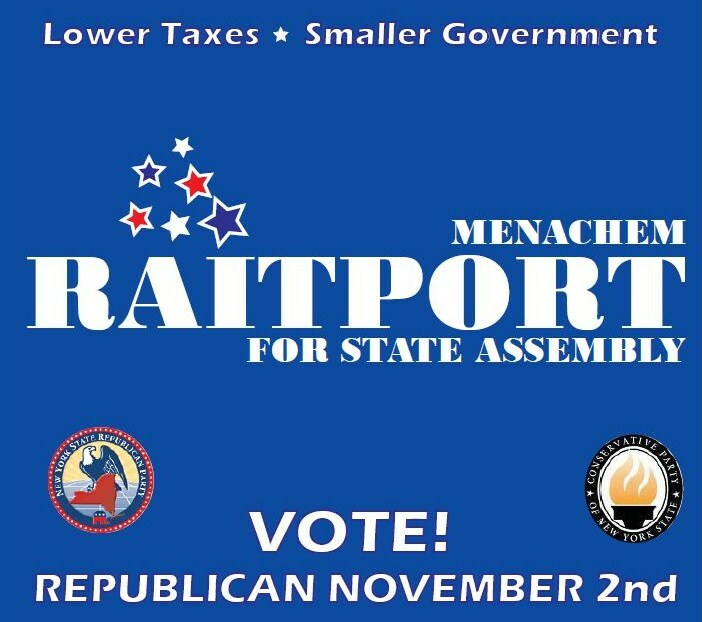 With Raitport as Assemblyman there will be no need for the middle man and the money will go where it belongs, to the needy people of the community! Days before the Vaad elections Chanina Sperlin opened another organization under his own name. All this and more to come. Last year this time Six of our own neighbors -fellow Jews- were facing a vicious trial as a result of a vicious Mesira/Blood Libel by a group that goes by the name Mishichist. On October 14, 2009 the case was sent down to trial. 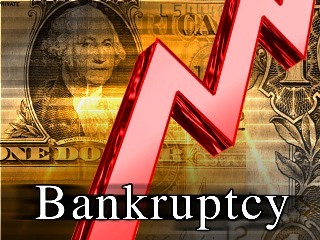 Jury selection began on October 28, 2009. 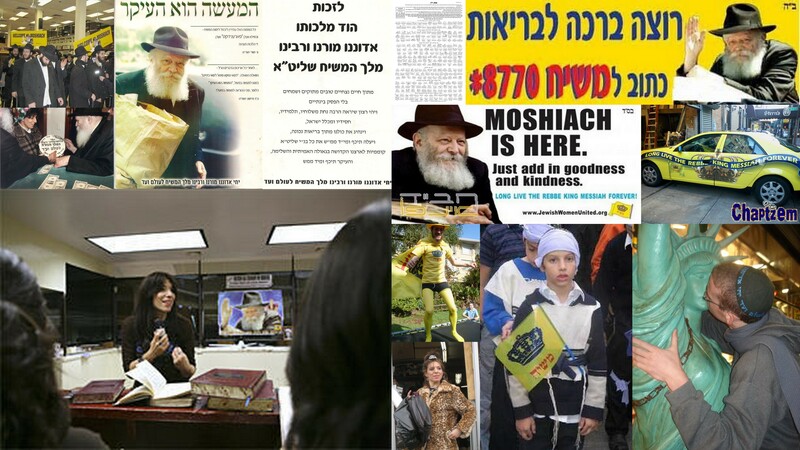 In the 14 days between (being sent down to trial until Jury election), many people, Askonim and every so called Mishichist “leader” or “Mashpia” in the U.S.A. and Israel were approached/called by Shomrim Coordinators and/or their family members to do everything they can to stop the blood libel. One Mishichist Shliach was offered a brand new Safor Torah for his Mitzva tank, not only did that Mishichist refuse to help, he went on ranting about how the Mesira was justified. A few weeks later this Mishichist was involved in a terrible accident that claimed two life’s (including his son), may g-d spare all of us. 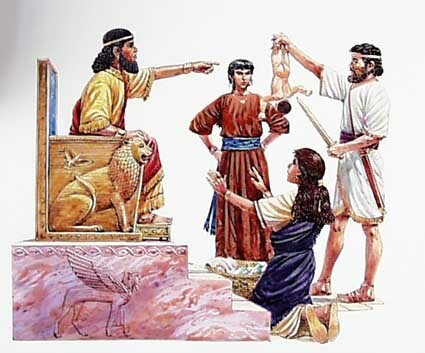 Prior to the month of Tishrei Crown Heights held an historic election. Crown Heights held an election for a third Rov, a Rov who would complete the Bais Din to three Rabbonim. The streets were full of hope, hope that once and for all, the Bais Din will be completed and united. On the ballot there was a little known individual, an individual who flew here from across the world. 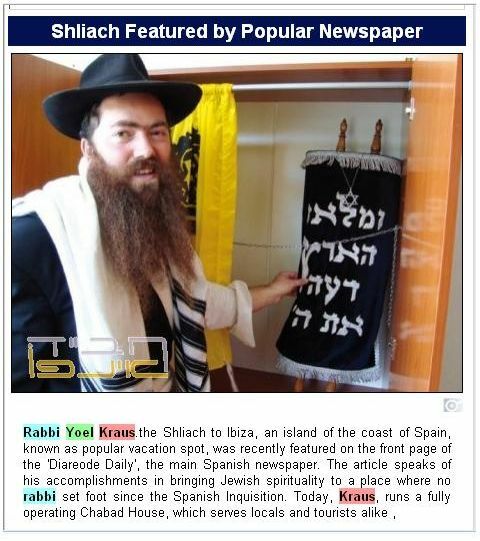 As the campaign for the position progressed, the campaign, on behalf of Yossi Braun (not confirmed as to the Rabbi Part) took a drastic turn to brutal smear campaign. In his bid for the spot Yossi Bruen campaign unloaded on another respected candidate. To the residents of the community it felt more like the pure hate and disdain was directed at a 40 year respected Rov with Smicha, Dayanus, and Shimush, (I might add). A grueling full day of jury selection took place in the New York State Supreme Court today, where six community members are facing serious criminal charges and can face a possible lengthy prison sentence. The six defendants are members of Shomrim who responded to an incident in December of 2007, which took place inside of 749 Eastern Parkway, one of the dormitories where Bochurim who come from Israel to study in k’vutzeh reside. The incident began Erev Shabbos when a group of Bochurim attempted to force another Bochur out of his room. When he showed resistance, the Bochur was attacked. RABBI BRAUN CONFIRMS HE IS COMING TO TOWN! 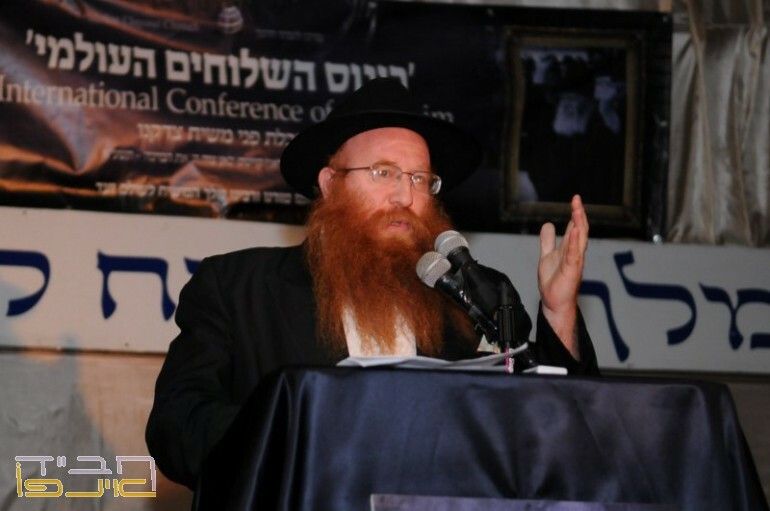 SHMAIS.com has learned that in light of recent rumors swirling regarding Crown Heights Rov Elect Rabbi Yossi Braun, the Vaad Hakohol – Zaki Tamir, Fishel Brownstein and Yossi Hackner – held a conference call last night with the Rabbi. During the short conference call Rabbi Braun confirmed that he is in fact coming though he did not specify a date. The Smicha issue was not brought up. 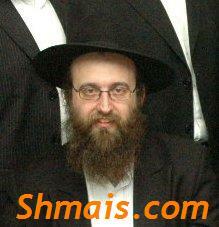 In other news SHMAIS.com has learned that a committee is being formed to guarantee Rabbi Braun’s salary. According to our source, the committee will include: Shlomo Drimmer, Yossi Malamud, Gadi Blizinsky, Mendel Shneerson, Oren Popper, and Zev Cadaner. The Vaad Hakohol wants the committee to come up with and deposit 6 months salary in the bank and get another 6 months of salary in pledges. A meeting between the Vaad Hakohol and the committee is being scheduled to iron out the details. Last month, four men allegedly surrounded an Israeli man who was visiting Crown Heights for the Jewish holy day of Yom Kippur and punched him in the face. The man, 36, knocked on the door of a nearby Jewish home at midnight. 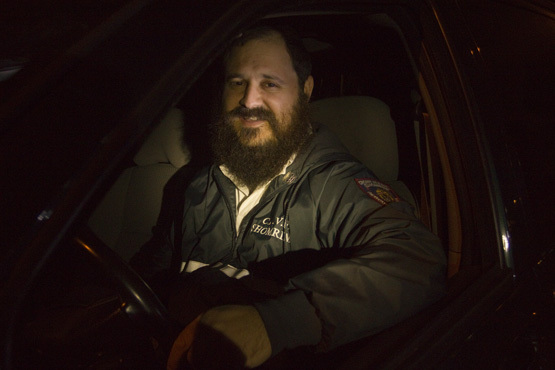 The residents called Shomrim, a group of orthodox Jewish men who patrol the neighborhood. The Shomrim arrived at the scene and called police, who are investigating it as a possible hate crime. All four assailants were black. The incident occurred on Crown and Albany streets, just a few blocks from the intersection where nineteen years ago, a Rabbi in a station wagon struck and killed a black child, sparking three days of rioting, looting, and a murder, which thrust the Brooklyn neighborhood into the national spotlight. Crime and racial conflicts have dropped dramatically since the ’91 riots. But Binyomin Lifshitz, a 24-year-old computer programmer, who responded to the call from the Isreali says, “It’s a false sense of security.” He said the attack on the Israeli shows the Shomrim still serve an important function for area Jews, many of whom barely speak English and are afraid to call the Police. When Elected Vaad Members Turn Official @$$ Kissers…. Many are asking now what? What will our elected community officials do? 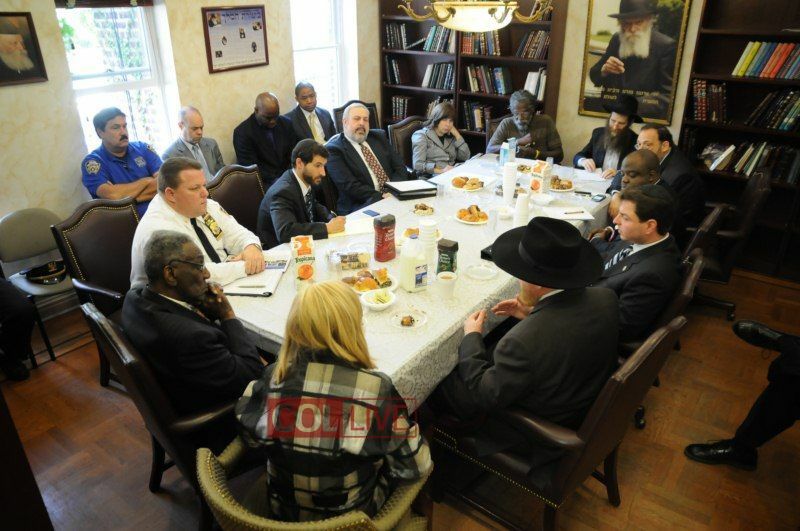 A few weeks ago, on one of the website here in Crown Heights (ColLive) reported about this “meeting”. Our “elected” officials called to a meeting to “amend” some kind of tension. Present at the meeting were representative of Mayors office, Districts Attorney’s office, black leaders, Jewish leaders, officers form the local precinct, and others. The issue at hand was an alleged attack or harassment on a black teen. The alleged perpetrator was a foreign teen whom was drunk; he got arrested and soon after released with the conclusion being no racial motive. Yet, our elected “leaders” and one unelected nobody (who love’s photo ops) call for this great meeting. The issue was SO urgent, and the community was on the verge of civil unrest, and all hell was about to break lose, that they had to meet at 10:00am. (So urgent, that this was a week after the incident, I might add) and what’s the conclusion of this urgent meeting? Our “leaders” apologize on our behalf. They take a small incident that no one had heard of, with a foreigner teen who was drunk, the crime was all alleged, and they compare it to 1991 riots, for what? For a picture, they take all the residents of Crown Heights and put them in the mix, and apologize on our behalf? What kind of Chutzpa is this where is this heard of, that a week after Yom Tov our leaders initiate a meeting to apologize. And then we ask where the leaders are? Where are the individuals whom were elected to stand up for our community? Yes and even Sperlin who throws his weight around and has SO many CONNECTIONS where is he? You know where they are they are busy looking for situations where they can apologize. (The interesting thing is that when it comes to getting Jews locked up Sperlin somehow finds all the CONNECTIONS he needs). Where was our great “leaders” on September 18, Motzai Yom Kippur when an Israeli yungerman in his 30’s was attacked without provocation on Crown Street near Kingston Avenue? Where are our “leaders” and Askonim when we get robbed, mugged and assaulted? Where were our “leaders” and Askonim on September 22nd, when the police was harassing our very own Shomrim Volunteers? 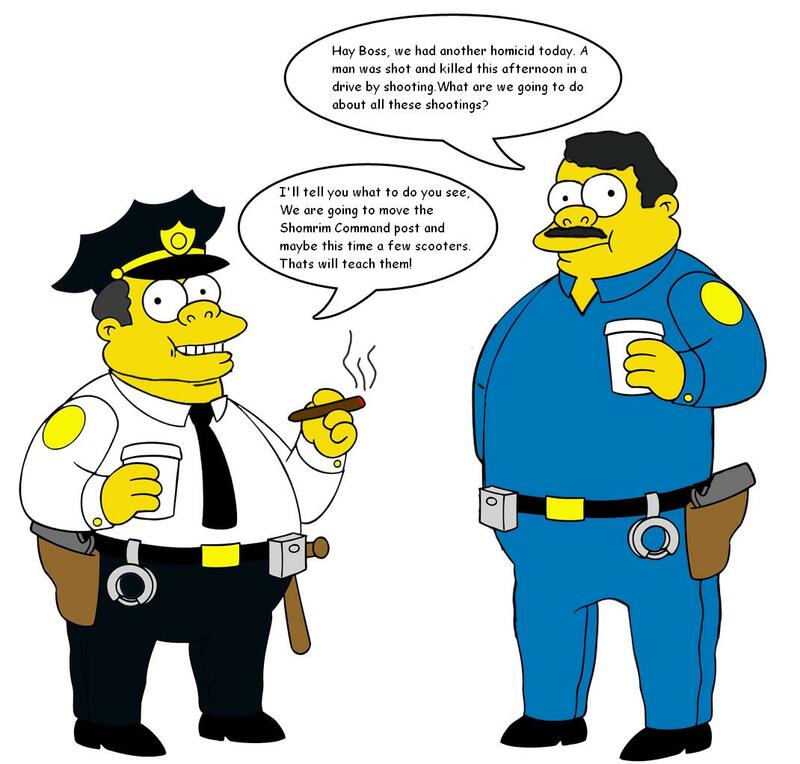 Where were the “leaders” when the police department was removing for no reason at all a command center which is used to service our community? Is that piece of plastic the police department gave you really worth stabbing your brothers in the back time after time? 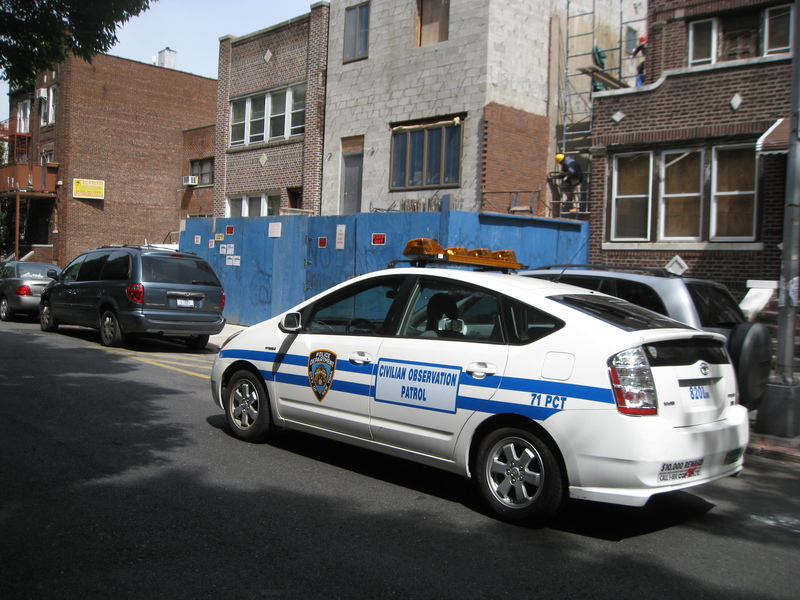 Is getting off a parking ticket ($60 bucks) really worth betraying your own community? You know where they are, looking for photo ops, waiting for the perfect storm were they can finally come out as the saviors in the big media, kissing politicians asses so maybe they can help…mmmm… Themselves get more photo ops. I’m already on the subject of where are our leaders and Askonim, so I’m going to take the liberty of asking a few more questions. In a weeks’ time we are going to have an election. One of those positions is for Assemblyman (for those who don’t know, that is what Dov Hikind is for Boro-Park). It so happens that a member of our community is running for that position, why haven’t our leaders from the CHJCC (Crown Heights JEWISH Community Council) endorsed him? Why are our “leaders” fighting against him (by threatening the candidate not to run and by threatening stores and residents not to post his signs)? WIS has gotten some Intel from a reliable source (thank you Jerry S.) that an extradition order of some kind would likely be coming through by the summer for Mr. Shuchat. 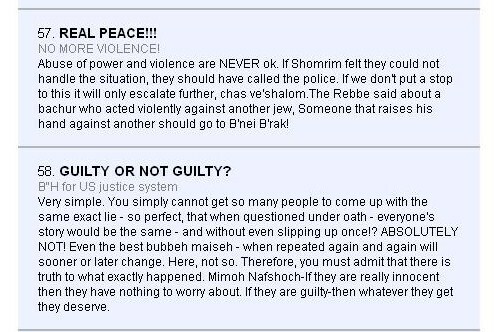 To borrow a few comments from Chabad.info a.k.a. Jihad.info on the Shomrim Six Trial, 1 . 2 . 3 . 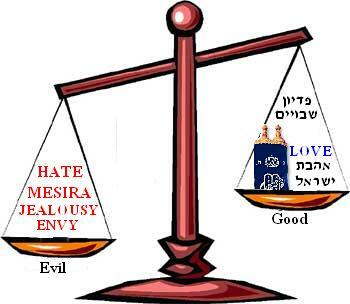 WIS encourages you to read those post and comment justifying and excusing Mesira. Remember whats good for the goose is good for the gander. Totally agree, let the jury decide. Why is shmira preventing justice from prevailing? Bring Shuchat back to face justice! WIS will be there to see this "justice", can't wait! Guilty or not guilty? hopefully we will find out soon and we will have peace. Def of Sham:1. a trick that deludes : hoax <feared that the deal was a sham> 2. cheap falseness 3. an imitation or counterfeit purporting to be genuine. They are all laughing at us, playing us for fools! It took a whole week to finally figure out what to write about this BIG MEETING and what was the BIG “important” meeting about? The meeting also included representatives of the Mayor’s office, the local Police Precinct, NYPD Community Relations Dept and Police Commissioner’s Office, the City-wide Jewish Community Relations Council and the Brooklyn DA. What was the BIG emergency; the BIG crises that would warrant such a meeting with such “important” people? Was is perhaps THIS, THIS, or maybe about THIS (you know, something really important)? COLLIVE A.K.A. MOSSRIMLIVE PROMOTING MORE HATE!! Finally finally someone in Crown Heights steps up to the plate to try to make a REAL difference by Running for a position that really matters and will really make a difference in our life’s and COLLIVE a.k.a MOSSRIMLIVE uses this opportunity to screw the Jew once again with pure hate (comment 15). This is not the first time that COLLIVE a.k.a MOSSRIMLIVE has used its position to hurt Jews. How much did Mica Soffer sell her soul for this time? How much did Karim Camara (and the Chanina Sperlin Mesira team) pay Mica Soffer for her services (to betray one of our own)? This is not the first time that Mica Soffer editor and owner of COLLIVE has sold out on her fellow Jews for a few bucks. Mica Soffer claims to be a community web site but in realty is nothing more then a self serving money hungry machine. 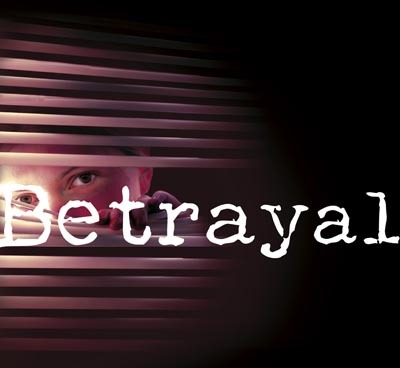 Mica Soffer will do anything for a few dollars, WIS finds that sad and pathetic. 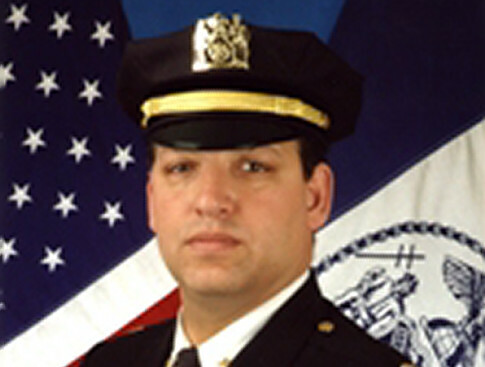 NYPD Deputy Inspector Steven Mauriello is facing departmental charges. Brooklyn, NY – Four New York Police Department officers are facing internal charges based on the highly publicized accusations by a fellow officer that they manipulated crime statistics, an NYPD official said Friday. The officers include the former commanding officer of the 81st Precinct in Brooklyn, Deputy Inspector Steven Mauriello. Mauriello, a sergeant and two patrol officers were served with the charges this week. A second sergeant was expected to be served next week, said the official, who only named Mauriello. The official wasn’t authorized to speak publicly about an internal personnel matter and spoke to The Associated Press on condition of anonymity. Mauriello was charged with purposely tampering with grand larceny and car theft reports, and with misleading internal investigators. The sergeant was accused of failing to verify that two officers had filed a robbery complaint; the same two officers were charged with not following the order to file the complaint. The officers were not removed from duty and were expected to keep their jobs, the official said. But they could face lesser penalties such as loss of pay or vacation days. NYPD spokeswoman Kim Royster confirmed Friday that administrative charges had been drawn up and served but declined to comment further. NEW YORK [NY1] — In a new attempt at cost-cutting, some city-owned vehicles are being scrapped in favor of a car-share program. Some 300 employees at the Department of Transportation will soon begin renting Zipcar vehicles by the hour for official city business. A dedicated fleet of 25 Zipcars will be housed in Lower Manhattan parking garages and made available to the general public on evenings and weekends. City officials say the program will reduce the number of city-owned vehicles, free up parking spaces and reduce pollution. City officials say the program could save more than $500,000 dollars over four years, and if successful could be expanded to include other city agencies. WIS: The two Vehicles currently being used and abused by Shmira Mesira members for personal enjoyment (on account of our tax dollar) was originally ripped out of the line of cars intended to serve the Department of Transportation. MAJOR/BIG MEETING TAKING PLACE NOW AT THE CHJCC OFFICE WITH THE BIG [PRECINCT] BOSSES AND PEOPLE FROM THE MAYORS OFFICE. UPDATE: About 11am the meeting ended. The District Attorney was present as-well. Anybody who might have any details regarding what this meeting was about, please share with the rest of us. Exit Question: Could this meeting have been about helping the Six Jews (Shomrim Volunteers) from our Crown Heights community about to face trial as a result of a vicious blood libel/Mesira and political pressure? Now wait, that was a year ago (October 14th, 2009) and there was no meeting regarding Shomrim Six then. The Mosser Paul Huebner currently has a $144 million dollar lawsuit pending against the Shomrim Six. Its been 24 hours since the “BIG meeting” and yet none of the Crown Heights based web sites have any post about it, why is that (where is Jihad.info and COLlive – both Chanina Sperlin payouts)? Such a big meeting, what was it about? WIS was informed that the Mosser Henna White was there as-well. HaRav Yossef Y. Braun, newly elected Rabbi to Crown Heights, Husband and Father to eleven children has made his demands. 1. A Hundred and Fifty Thousand Dollars a Year. 2. A House (paid for by the community of course). 3. Paid tuition for all his eleven children school education and camp. Vaad Hakohol of Crown Heights has announced a special drive to reinstate the Mas Hakohol communal tax in the Chassidic neighborhood in Brooklyn. The annual amount is now $180. Let’s say that all 2,100 voters were to pay the $180 tax, how much would that be? The Mosser Chanina Sperlin got Mrs. Henna White her job at the Brooklyn’s District Attorneys office. (one of the three jobs Chanina Sperlin has created in 15 years of “service” to Crown Heights and what do you know, it’s a job that helps Chanina Sperlin and Gang carry out Mesira against fellow Jews). 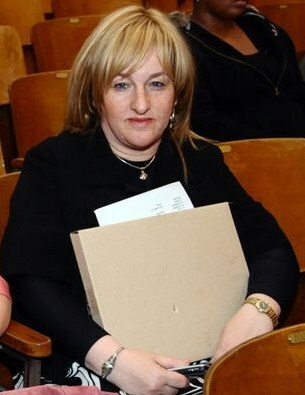 Information out of the DA office is that it was Mrs. Henna White which pushed (with unprecedented pressure) that the Shomrim Six be fully prosecuted in the court of law. Henna White got a phone call from Chanina Sperlin to get to work (owing him a favor for the job) and she did just that. Somehow the Shmira Mesira people had information about all the court proceeding’s before the Defendants in the case (the Shomrim Six) knew. The Shmira Mesira got a play by play as to what was happening and what was going to happen (before it did). Click Image Above to Watch. If your going to throw stones at someone expect to get it back and don’t cry when you do. 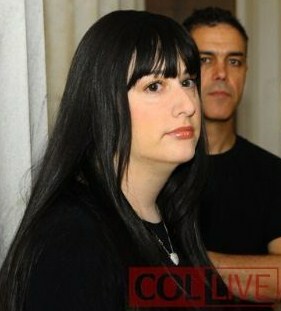 Where Is The Fat Pig Yossi Stern? October 14th 2010 will be the one year anniversary of the beginning of the Shomrim Six trial. 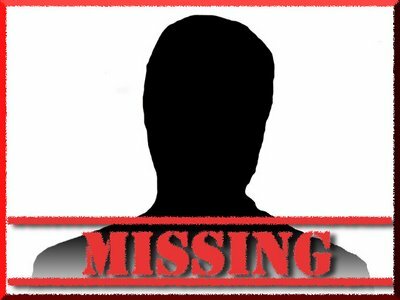 One year later, where is Yossi Stern? BROKE, BROKE AND BROKE. LOST HIS BUSINESS, LOST HIS HOME. HAD TO FLEE NEW YORK. THERE IS A G-D IN HEAVEN. ONE MOSSER DOWN SOME MORE TO GO!!! PEACE IS COMING TO CROWN HEIGHTS!!! Brooklyn, NY 11217) with his wife. Shneur Rotem and his wife are not U.S. citizens. 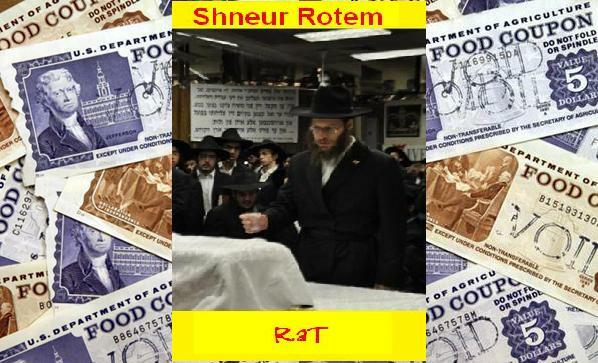 Shneur Rotem and his wife are not residents of the U.S. (they don’t have any bills, rent etc…). Shneur Rotem and his wife will be returning to Israel in a few days. So what are the Rotems doing at the Food Stamps office filling out paper work? How are they planing to pull this scam off? Is Mendle Hendel the Mishichist Mossrim cult leader (whose housing the Rotems for their short visit to the U.S.) involved in this scam? How many Mishichist Mossrim from aboard have already pulled this scam until this day? WIS will investigate this matter and get to the bottom of this. It’s about to rain on somebodies party!!! Anybody with any information on this matter, please share with WIS by e-mail or using the comments bellow. Then those who sign up for the program leave (the country) and the next interview is in a year until then the ‘handler’ uses the money. WIS will continue to investigate .